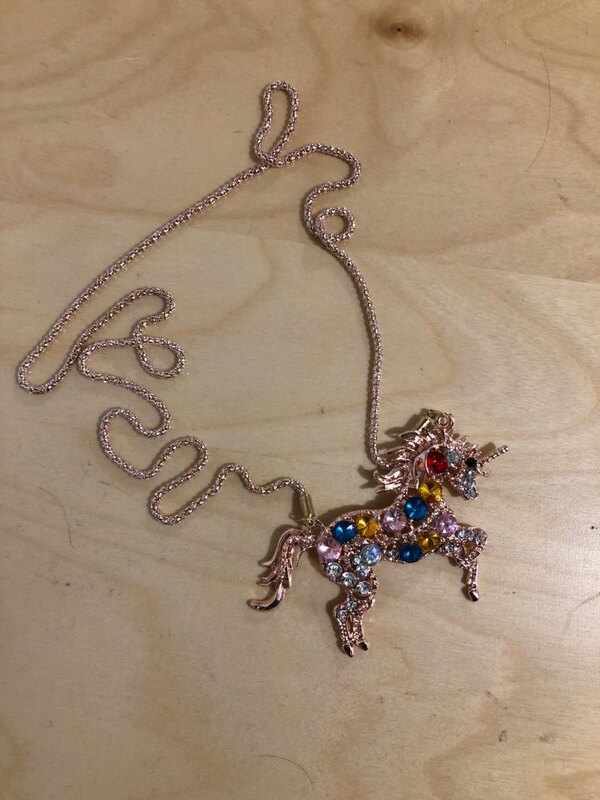 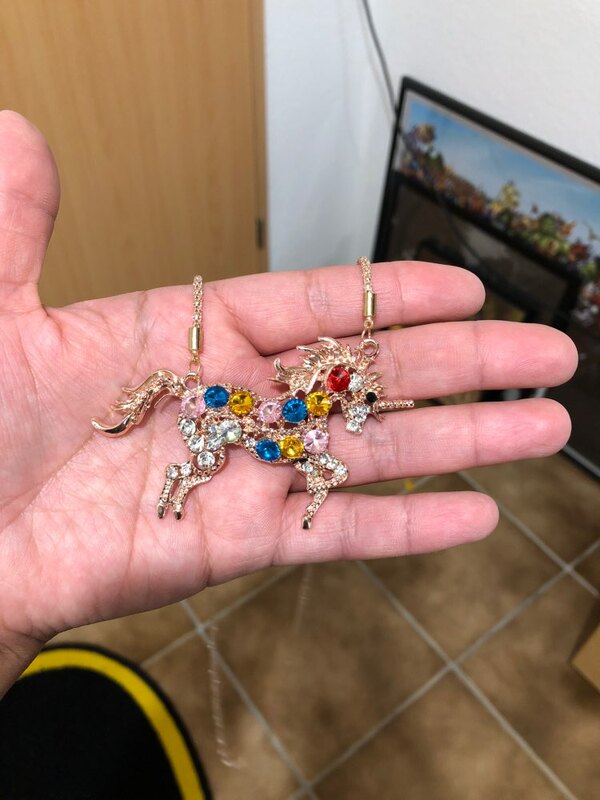 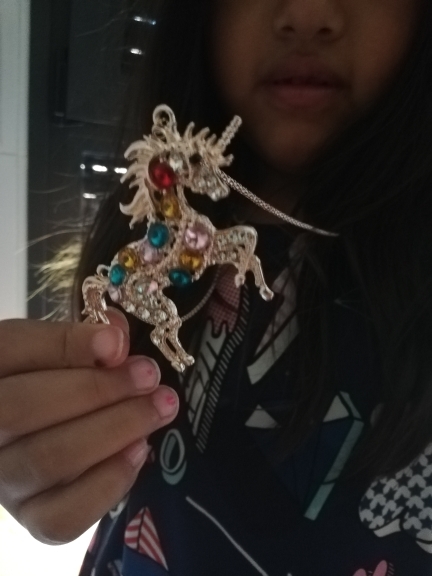 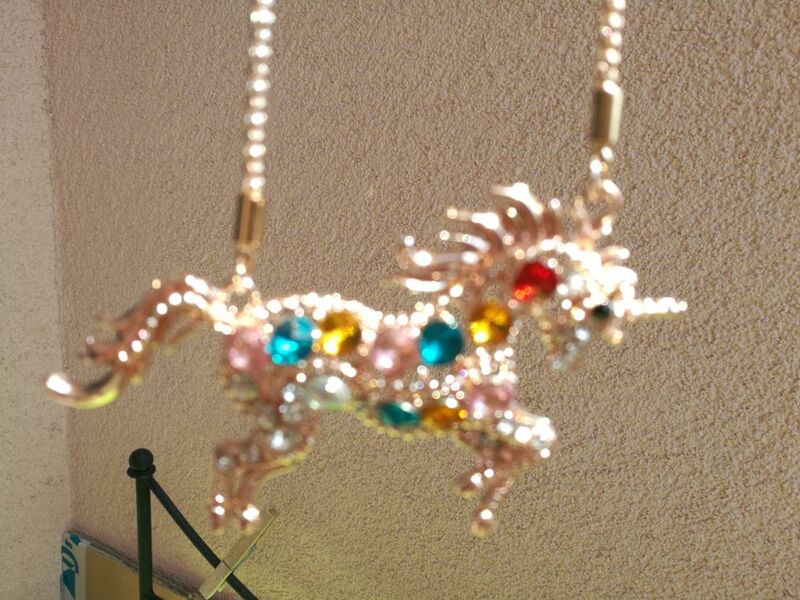 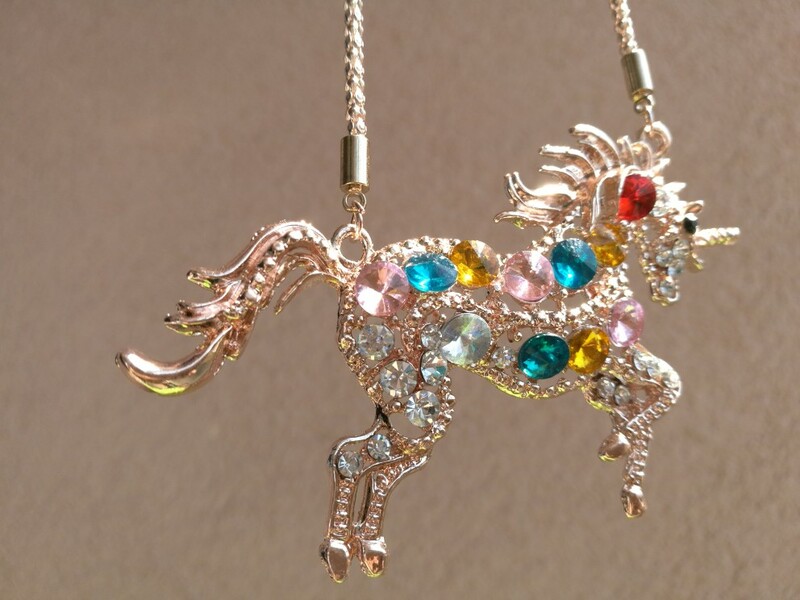 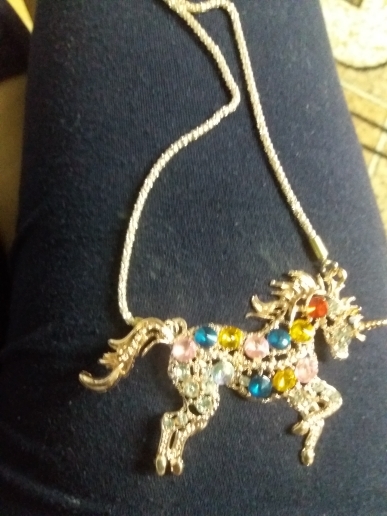 This elegant crystal unicorn necklace is rose gold plated and decorated with colorful crystals. 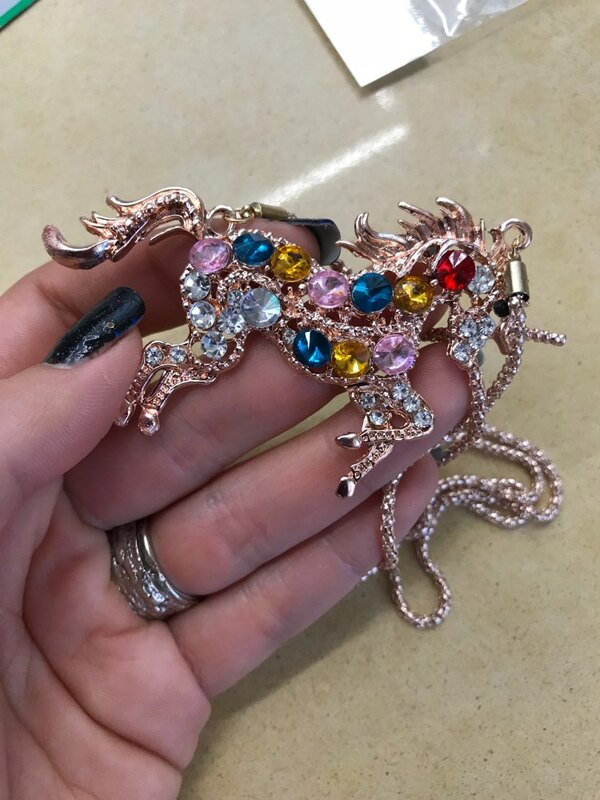 It's vibrancy and shine makes it a great gift for any unicorn lover. 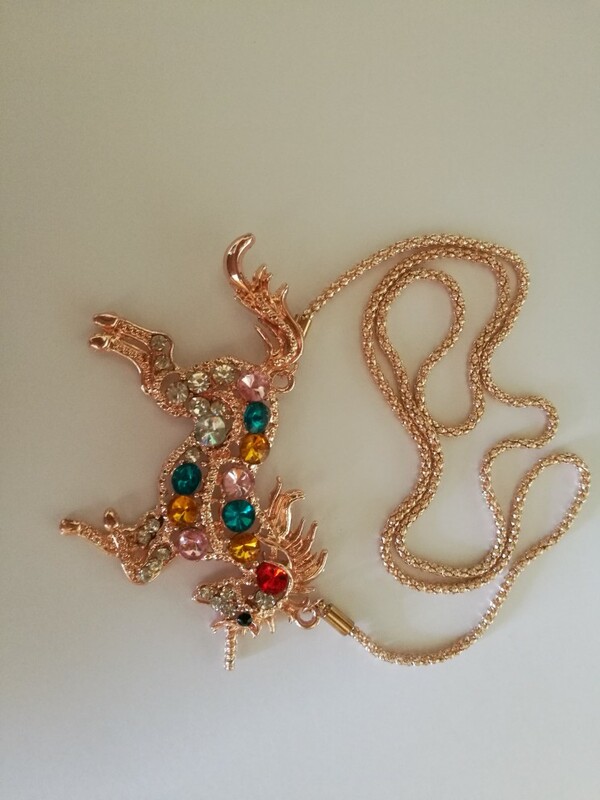 arrive very Rapido, good quality.